Happy hump day! I regret not being able to finish up this post Monday or yesterday but I do not regret spending that time getting a TON of stuff checked off of my wedding checklist. But, alas, I am back today and looking forward to sharing a few fun aspects of this past weekend. Friday evening, we had dinner with our good friends Dave, Melissa, Cheyne, and Miko. I’m telling you, there is nothing like a dinner full of fun and laughter to start off a weekend. 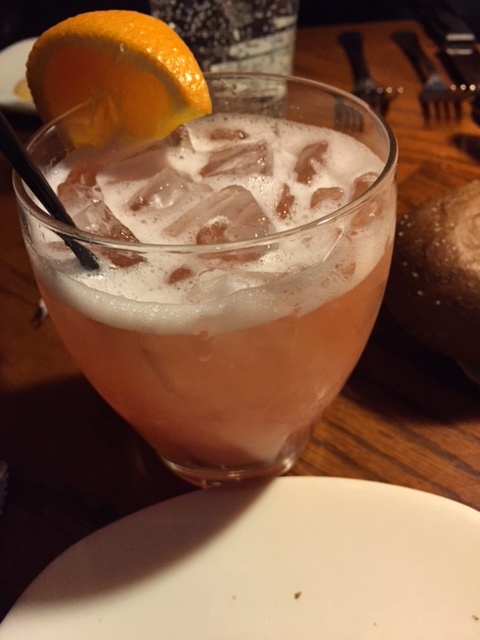 We went to Outback Steakhouse for dinner and it was my first time dining there. 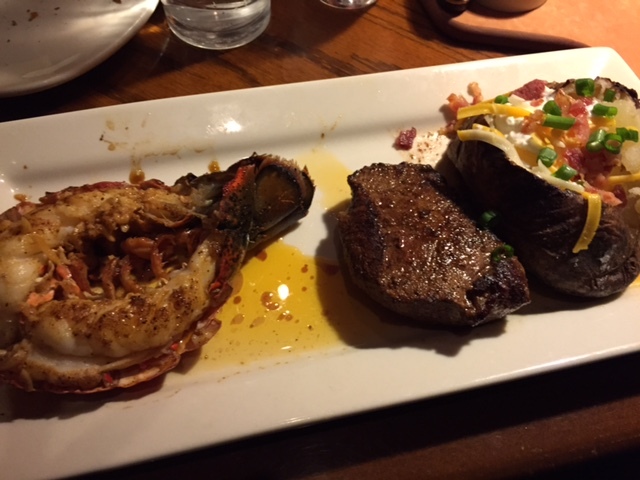 I had the Special Sirloin and Old Bay Lobster combo accompanied by a baked potato. 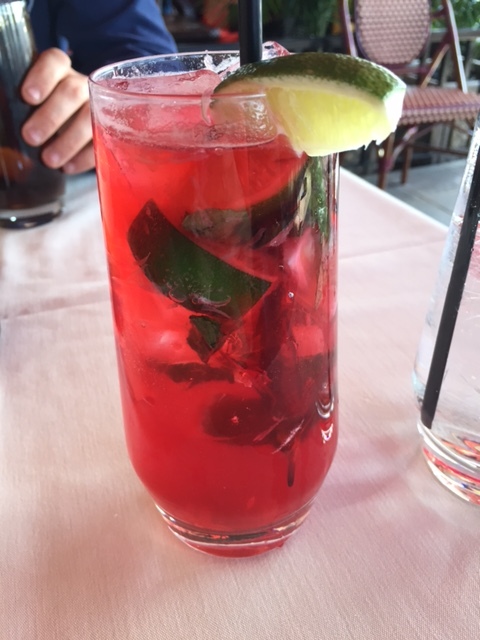 I also enjoyed two fabulous cocktails, the Aussie Rum Punch and the Huckleberry Hooch Moonshine cocktail. The meal was delicious and it definitely satisfied my steak and potatoes craving that I have not been able to shake. I started off Saturday with a quick Jillian Michaels workout followed by a two mile walk with Dan around the center of town. 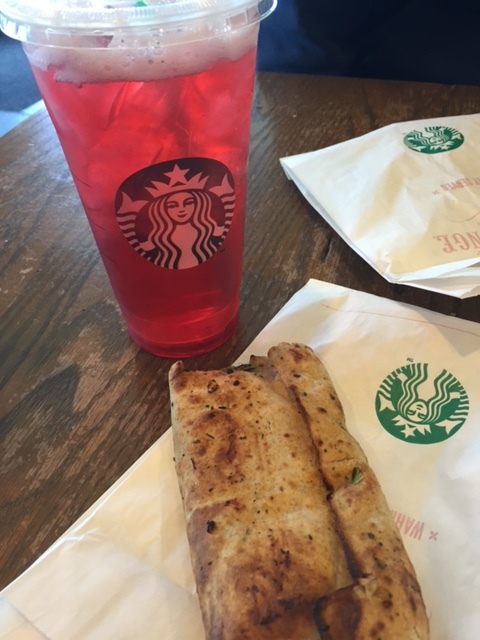 We were ravenous by the time we were almost home so we stopped at Starbucks where I enjoyed my favorite Passion iced tea and my first ever Spinach, Egg White, and Feta wrap. Bloggers everywhere have raved about this wrap and I would have to agree, it was so yummy! We spent the rest of the day making an attempt to get some wedding-related tasks completed and we were able to get our registry at Macy’s set up and I also have an idea of what I would like for my flower girls dresses. As a reward for getting things done, we went to Market Grille for a late lunch. This place always seems to be the lunch spot after doing fun wedding things and I’m not complaining! 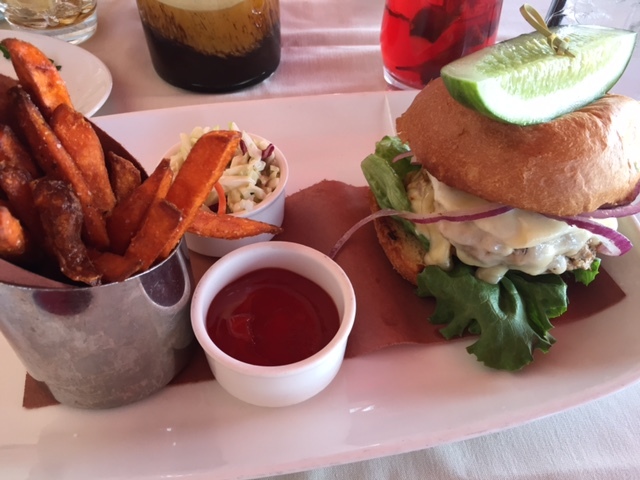 Dan and I both enjoyed their turkey burger with a fried egg added, and I had their Blackberry Moonshine Mojito (made with Onyx moonshine!) as a delightful afternoon cocktail. I was SO happy that we had some free time on Sunday and we were finally able to help our best friend Alex get some chores done at her new house. It is coming along wonderfully and I am very excited for her housewarming party this coming weekend. That is all for today folks! Stay tuned, I am expecting my next Stitchfix to arrive today so it’s looking like there is a Fashion Friday post in my future! 🙂 Have a great day!